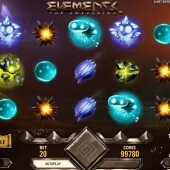 The online slot game Elements - The Awakening has the potential to define a new era in internet gaming. It is too early to tell but this imaginative 5-reel game has already divided opinion on forums and at social media sites. For those that are not familiar with Elements - The Awakening, it is a game based on the four principle elements; Earth, Fire, Air and Water. Each element in the game has a different set of features and bonus rewards, as shown in the video here. When you first play, you will not miss the effort and attention to detail gone into it. The music is dramatic, the intro slick and the graphics attractive. 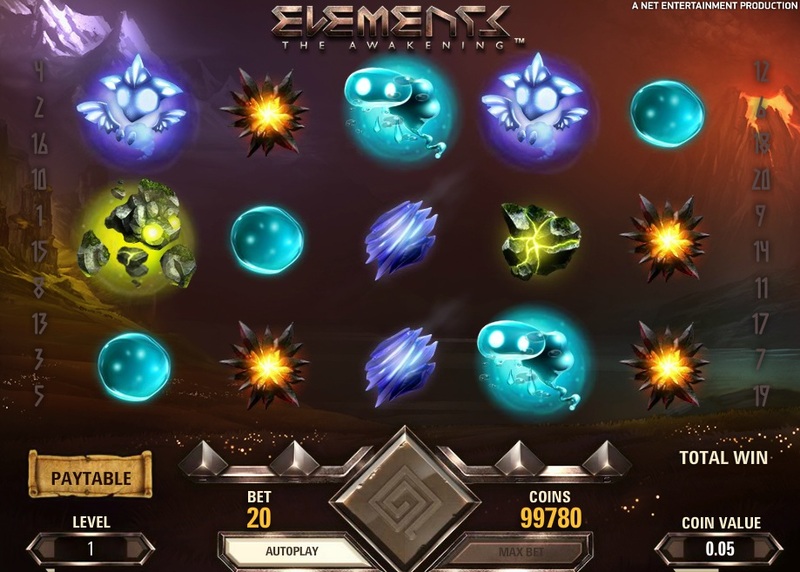 Elements - The Awakening contains a similar feature to the slot game Gonzo's Quest, in that winning lines explode and further symbols fall into place (Avalanches) as part of the same spin. Should you get four consecutive Avalanches then you will trigger 10 free falls with one of the elements being the feature of the bonus. I won't go into too much detail on this, as each element is different, but you will generally get a variation of a wild feature. Therefore, you may get stacked wilds, wilds that spread over multiple blocks or are held for a number of spins. So far I have yet to work out which is the most effective. My guess is that they all work pretty well at some point. This beautifully designed game is a must play, but my knowledge of slots leads me to believe that those players looking for bigger wins will get turned off by its low volatility. Wins are far too regular and are normally never bigger than 50x, and that is going some. If you are looking for bigger wins then you might be better off playing slots like the more volatile Piggy Riches from Net Ent or pretty much any of the Aristocrat slot games online.